« Holy crap, iOS 5 finally lets you customize sounds! This entry was posted on Tuesday, October 18th, 2011 at 6:00 pm	and is filed under Software Development. You can follow any responses to this entry through the RSS 2.0 feed. You can leave a response, or trackback from your own site. You can use C/C++ on IPhone and Android if you want. 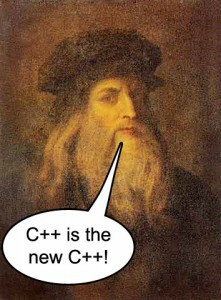 C++ is best choice if you don’t have to write the code twice again.